An historic and picturesque bed and breakfast in the quaint Village of Caledonia, Missouri. When we first moved in to the Ruggles-Evans-Dent House in Caledonia, Penny experienced the first appearance of ”The Bearded Gentleman”. Innkeeper Penny and her sister, Tracy, were in our second floor hallway arranging rugs between our Heather Room and our Bride’s Room (where bridal parties get ready for the weddings we host). Innkeeper Jon had just gone off to Farmington for a run to the hardware store. Now, Jon is big-ish guy with a large beard. He also has a habit of walking out the door to go somewhere, and then realizing he’s forgotten something and coming back in to the house for the forgotten item before leaving again. She explained that she was prone to night terrors, and had experienced one while sleeping and had cried out. She said the door had opened and a bearded gentleman she’d thought was Jon was standing silhouette in the doorway. “I said I was OK, and that I really appreciated your concern,” said the guest. Without a word, she said, the figure had shut the door. Of course, Jon would never just open a closed door to an occupied room! In fact, Jon hadn’t heard a thing from his room on the other side of the house. Penny, Jon, and the guest talked about it over breakfast, and Penny mentioned to the guest that she had seen the Bearded Gentleman a few months prior. Was a pattern emerging? Earlier this month, we hosted a beautiful wedding with nearly 200 people in attendance. After the wedding, the receiving line snaked through the house from the front door, through the dining room, and out our main entrance through the keeping room. 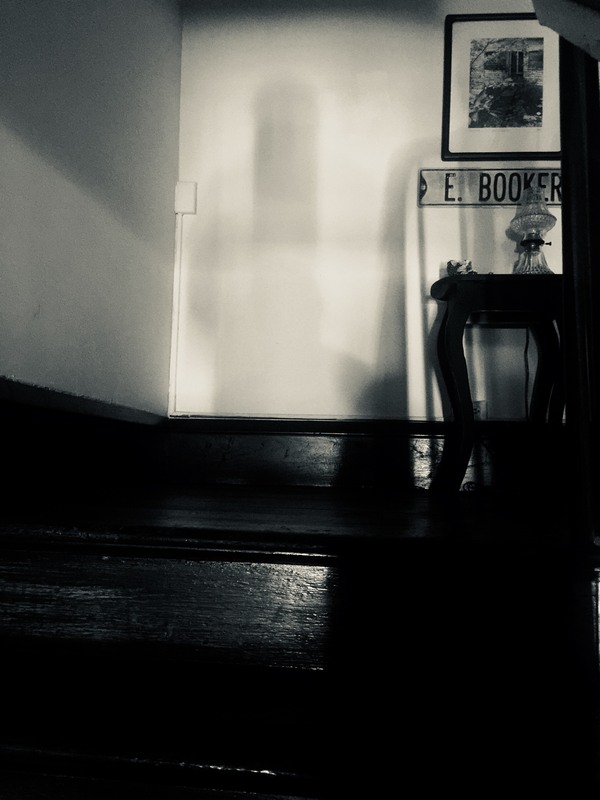 The grandmother of the bride was standing next to the arm of the couch in the keeping room greeting guests, near the doorway to the small hallway which leads to the dining room. Jon was at the desk across that same room, helping to give directions to the reception hall. The room was crowded, and the desk was not visible from the grandmother’s vantage point. Jon crossed the room to help guide people from the dining room to the keeping room, when he saw the grandmother do a double take. She had a look of shock on her face. It sounded to Jon like the Bearded Gentleman is a fan of weddings, because he seemed to be enjoying hanging out with the other guests! 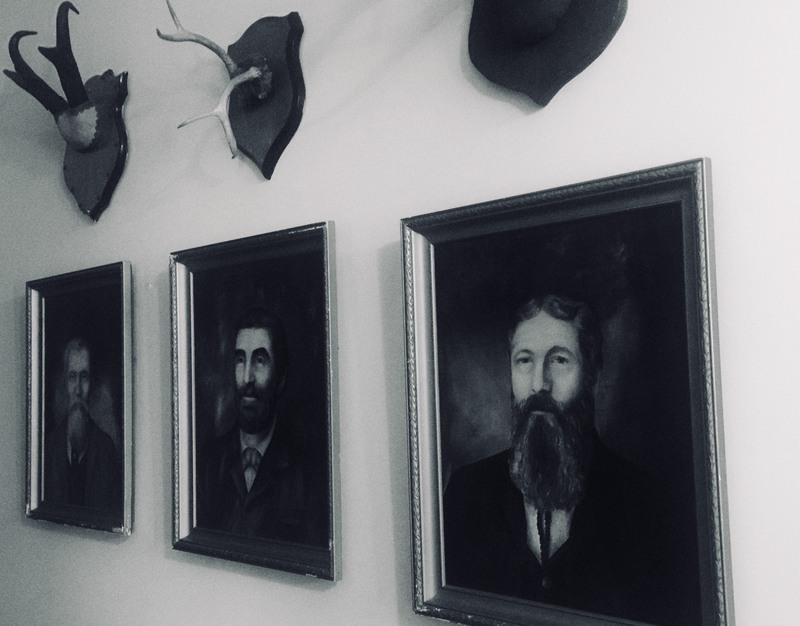 Now, we’re not saying that there aren’t logical explanations for these appearances of the Bearded Gentleman; but if there are… What are they??? Happy Halloween from the Old Caledonian B&B!